You will learn where inner healing originated and how it came into the church and repacked itself over the years. Theophostic is another form of inner healing: There are three risks of making woundedness the root of sinfulness. Accordingly, It is any type of inner healing calling Jesus into your memory so inner healing is new age mysticism. The truth is you are not getting Jesus into your memory, but you are receiving spirit guides. result of lies that are leading to defective thinking and ultimately manifesting as sin. Evangelical Theology sees sin as the product of our fallen natures and corrupt flesh. Clearly these two views are polar opposites and as always we must sear ch the Scriptures for the truth. Learn why your cerebral cortex gets blocked causing anxiety attacks with no memory attached. 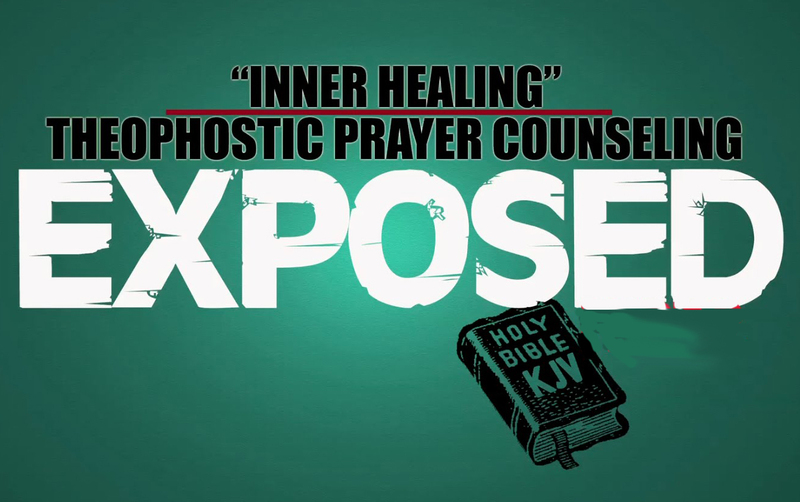 Learn why inner healing is not scriptural. Learn why visualization is wrong. Learn about the different types of meditation and why some are new age practices in their technique and how you can get demons. The author used to minister inner healing to its clients and started seeing a pattern. Again, The author, in the past, also had inner healing done to her and how she ended up more tormented than before. As she went through deliverance, the spirits left like light where the room became so white you could not see the furniture, the person ministering to her, etc. It was a false light and a false holy spirit that left her. Likewise, what are the foundations of the Christian Counseling / Inner Healing movement? Furthermore, popular counselors and authors such as John and Paula Sandford, Leanne Payne, Ed Smith and John Regier claim to use Biblical concepts, but that is a lie! This study exposes the fact that their concepts have occult backgrounds! Please take time to heed the warnings found within this investigation. Learn the problems that inner healing can cause in your life. See video and download this report.